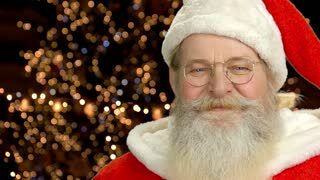 Santa Claus smiling. 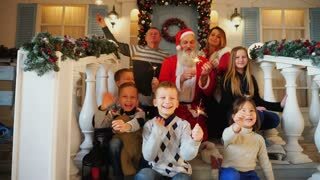 Happy Santa on blurred background. 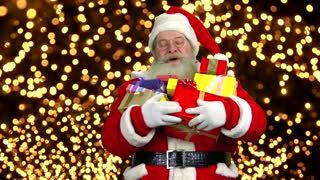 Happy Santa holding presents. Santa Claus laughing. 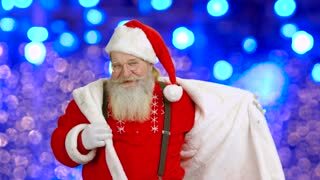 Santa dancing on lights background. 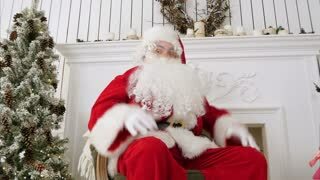 Happy Santa Claus. 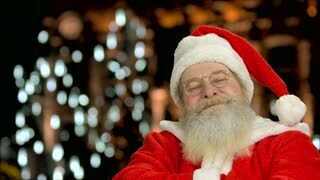 Face of happy Santa Claus. Santa, bokeh background.